Please join us to protest against a licence appeal by Hagloe House Farm in the Forest of Dean. Hagloe House Farm had their puppy breeding licence revoked earlier this year. 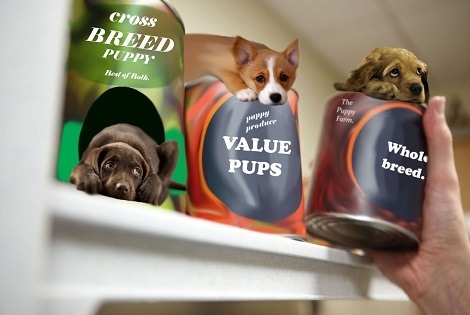 This was a unanimous decision taken by the Forest of Dean District Council, largely due to the inadequate structure and condition of their building that houses 114 breeding dogs and their puppies. The owners of Hagloe House Farm have appealed the decision, which is due to be heard at 10am on Monday 13th October. Naturewatch Foundation, C.A.R.I.A.D. and other local groups will be protesting to make sure this appeal is not successful, and we’re appealing to anyone who is concerned about puppy farming to join us. Please click here to find the Cheltenham Magistrate’s Court. If you have any questions about the protest or about our campaign to end puppy farming, please contact us.